Home » Podcast » Nurses for Healthy Environments » Season 2 #3 Let’s Elect More Nurses! Season 2 #3 Let’s Elect More Nurses! 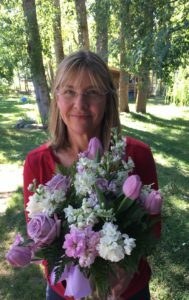 Susan Adams, PhD, RN, is an experienced Women’s Health Nurse Practitioner, and in addition spent 3 terms as a county supervisor in Marin County, California. In this podcast, Dr. Adams shares her perspectives on civic involvement, and how nurses’ voices are valuable and necessary. 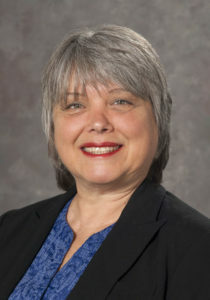 SUSAN L. ADAMS is an assistant clinical professor at the Betty Irene Moore School of Nursing at UC Davis. A nurse since 1978 and certified women’s health nurse practitioner and maternity clinical specialist since 1984, Adams teaches students in the school’s clinical programs — which includes the nurse practitioner and physician assistant programs as well as the school’s newest program, the Master’s Entry Program in Nursing. In 1998, Adams earned a doctorate from the UCSF School of Nursing with a focus on dually diagnosed pregnant women and new mothers. She earned a master’s degree in nursing science with a focus on postpartum support for new mothers in 1984, also from UCSF. She completed a bachelor’s degree in nursing from San Francisco State University, School of Nursing. She has published scholarly articles for publications such as the Journal of Perinatal and Neonatal Nursing as well as content for books such as Ambulatory Obstetrics and Women’s Primary Care: Protocols for Practice.